Did you know that once upon a time, before cotton, before tobacco, the largest export out of the new word was the Sassafras Tree (Sassafras albidum)? 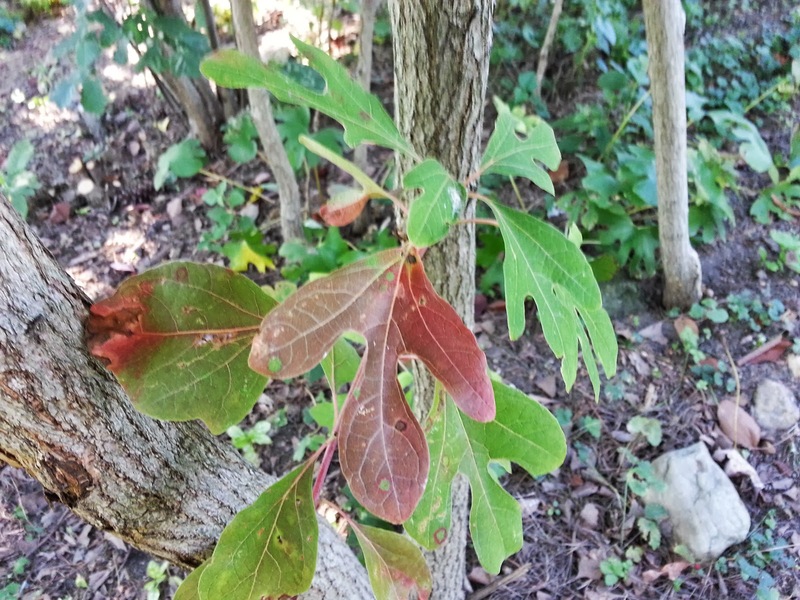 Considered a “prime commodity” the sassafras tree was so highly regarded that it was the reason the first two settlements were established on the coast of Massachusetts. It was worth so much money in the London market that the cost of the transatlantic voyage to harvest sassafras and bring it back to England was not only worth it, it was profitable! And the reason? It was considered a cure for syphilis! We have talked about syphilis before and I have a feeling we will again. But let’s explore the history of this bacterial infection a little more closely so we are all on the same page. There is some controversy surrounding the origins of syphilis. Some theories subscribe to the notion that Hippocrates described an advance stage of the disease in his writings. If that is true, Syphilis was present in Europe prior to the exploration and colonization of the rest of the world. Others state that the disease originated in the Americas and was brought back to Europe by Christopher Columbus and his crew when they returned from their voyage. In either case, the disease was unknown to medical authorities of the late 15th century since there was no record of the disease in the classical record. So, Hippocrates aside, the first published account of “the french pox” was in 1496 when suddenly this unknown disease began infecting the European population. By 1500 most of the continent was infected. That is really fast, you guys. By the mid 16th century it was transmitted via explorers to the rest of the continents. Bad news. But back to sassafras. Because it was believed that because the disease originated in the Americas the cure must be located there as well. Sassafras was utilized as a cure until it wasn’t: suddenly people started injecting mercury under their skin to cure the disease. Yikes. The tree itself is pretty cool. A beautiful native tree to the east coast it is perhaps one of the easiest trees for novices to identify. Why? 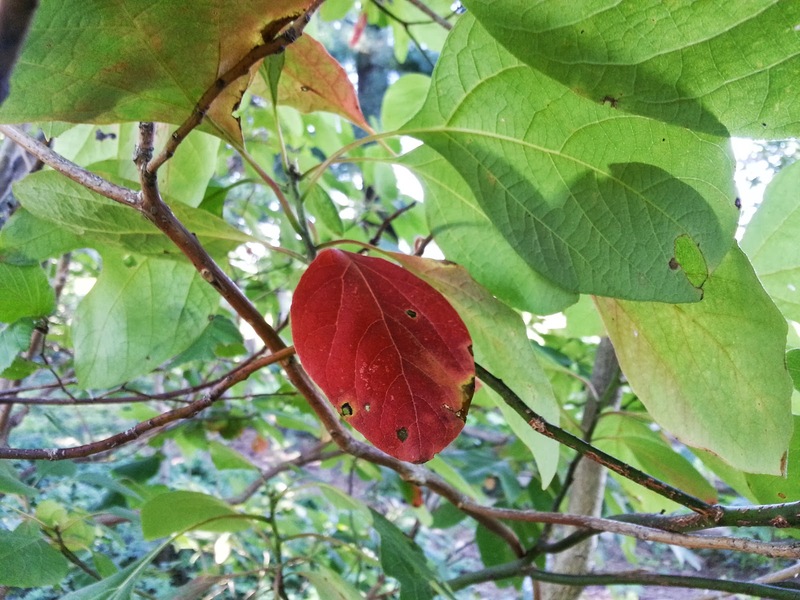 Well, unlike pretty much every other tree you will encounter in the woods, sassafras has three different leaf shapes that all exist on the same tree: one large oval leaf, a leaf that looks like a mitten, or a leaf with three lobes. Take a look at the photos – you can see a typical shape of each of the three leaves. 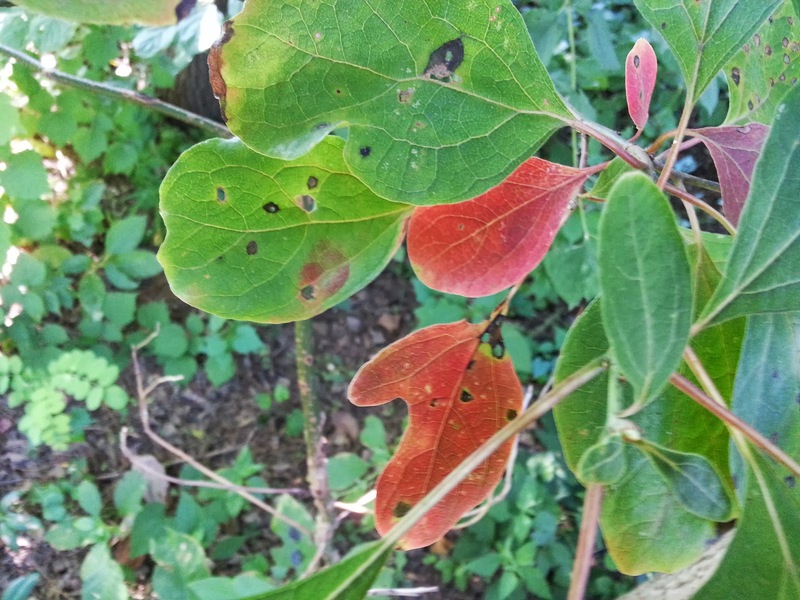 Sassafras trees are also dioecious (like the ginkgo trees we talked about last time) which really has nothing to do with your ability to identify them, I just think that is a cool fact. But I think the best thing about the Sassafrass tree is the color it turns in the autumn. 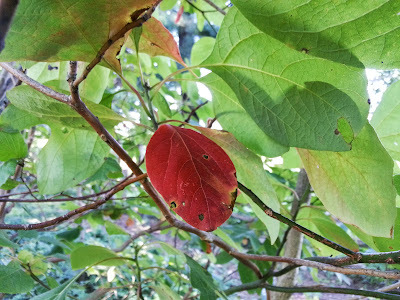 You can see from these photos (taken in early September) that the Sassafras has a beautiful and striking fall color.